The best race tracks in the country are waiting for you to challenge them including Wichita's home track - Hallett Motor Racing Circuit. Getting started in SCCA Club Racing isn't as hard as you think. The SCCA stages more than 300 Club Racing events each year for people just like you. Whether you want to be World Champion or just crave the wheel-to-wheel racing experience, it's time for you to get started. Amateur racers begin their careers by participating in two SCCA Driving Schools. Experienced SCCA instructors teach key racing techniques and share important safety information. Successfully completing two Driver's Schools means the amateur driver is eligible to compete in SCCA Regional races. Experience the excitement of Regional racing, then step up to National-level competition and strive for the pinnacle of amateur motorsports, the annual SCCA National Championship Runoffs at Mid-Ohio Sports Car Course. In 1998, Wichita Region joined forces with the NeOkla Region, to form the Arkansas Valley Race Group (AVRG). The principal reason behind formation of the AVRG was to combine the strengths of the two regions in hosting Club Racing at Hallett Motor Racing Circuit. The combined strength of these three regions hosting Club Racing at Hallett promises great competition. The AVRG is a not for profit Oklahoma corporation. The AVRG Board is comprised of nine members, the Regional Executive for each region, and two members from each region appointed by their Regional Executive. The main purpose in the formation of the AVRG was to apportion the risks and rewards that comprise a racing season. For example, an event marred by rain can be a financial disaster. By spreading the costs as well as the profit, no one region bears the risk. Club Racing conducted by AVRG is a true group effort. It takes the talents of many members from all three regions, so we encourage involvement to conduct a successful series. Flagging and Communications (F&C) – Corner workers are certainly among the most visible of workers since they spend their time out on the corners during the event. Their job is to communicate by radio with the officials directing the race, display the necessary flags, and assist drivers having difficulties near their corner station. Timing and Scoring – As the name implies, this group is responsible for determining a car's time and position during practices and races. Both of these functions are critical to drivers participating in the event. If you prefer to be inside out of the weather, this is an ideal place to work at Hallett. T&S is located on the second floor of the tower at Hallett. Grid and Pits – These workers line the drivers up at the start of a practice or race, check them for the proper safety equipment, and help control the hot pits during the event. Grid workers get the opportunity to interact with all of the drivers, probably more than any other specialty. Scrutineering (Tech) – Besides issuing tech stickers to cars with annual tech inspections before the cars go on track, tech is responsible for determining if cars conform to the safety rules and the requirements for the individual classes. After the races, the top 3 cars in each class report to tech to be weighed and checked. Hospitality – Hospitality workers make copies of the grid sheets and results and distribute them to the drivers. After the results are final, they hand out the trophies. And they are there to try to answer any questions that the drivers might have, or, at least , to direct them to the right person for an answer. Hospitality is located on the first floor of the tower at Hallett. Registration – At the track, registration workers check licenses and make sure that participants have the correct current credentials. They make sure that anybody without a current annual waiver signs the event waiver and give the drivers and workers the information they need for the event. This specialty is extremely busy for a couple of hours on Friday evening and a couple of hours on Saturday morning. Often times, people will work those few hours and then go on to do something else for the rest of the time. Registration is on the first floor of the tower. Working the races earns a member points under the Vroom program, an incentive program for workers. These points can be redeemed for clothing and bank gift cards. This program is explained in full on the MiDiv website, www.midiv.org. Volunteering at the races also reduces the costs of membership. A reduction in membership fees is given for each day worked. 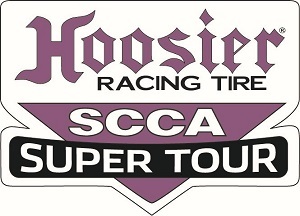 This is paid for by a surcharge on each entry that is paid by the organizing regions to SCCA. Workers just need to list the days that they work on the SCCA website.